Sugar addiction is likely the most prevalent type of addiction on our planet today. With the acceptance of the Standard American Diet consisting of junk food, pre-packaged foods, restaurant foods, sugary drinks and high-sugar desserts, sugar addiction easily affects children, babies through teenagers, as well as adults. Sugar addiction usually begins at a young age when parents use sweets as rewards and also because most children spend endless hours in front of the TV watching food commercials in which the advertised food is usually sugar laden. In other words, children are continually led to believe that sugar consumption is normal. I found it very interesting to note that in one particular study, when rats were allowed to choose between sweetened water or cocaine, 94 percent of rats chose the sweet water. Once sugar sweetened water was offered as a choice, even rats that were addicted to cocaine instantly switched their preference to sugar. Two hundred years ago, the average American ate only 2 pounds of sugar a year. In 1970, we ate 123 pounds of sugar per year. Today, the average American consumes almost 152 pounds of sugar in one year. There are 600,000+ processed foods in the marketplace, 80 percent of which have added hidden sugar. The average American consumes 22 teaspoons of sugar a day, mostly hidden, and the average teenage boy has 34 teaspoons a day (more than two 20 ounce sodas). 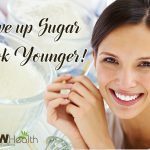 And…Each year, the average American consumes 133 pounds of white or wheat flour, which RAISES blood sugar more than table sugar (sucrose). When sugar is consumed it stimulates the brain to release serotonin which provides one with a high or good feeling. The endorphins released after eating sugar calm and relax us which further makes us feel good. However, within thirty minutes to an hour most people will experience a sugar-crash, severity depends on the individual, making them want to eat more sugar in order to get that calming and relaxing feeling back. 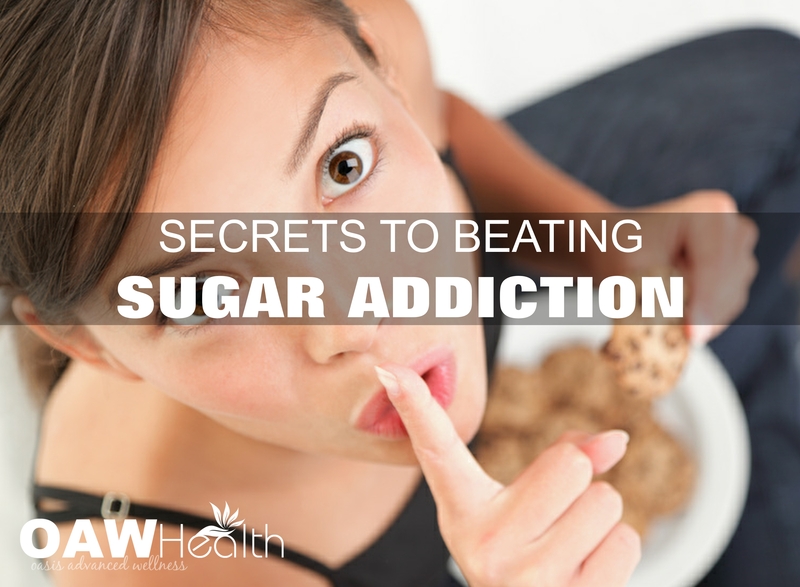 Trying to beat sugar addiction can be intimidating at best. However, if you just can’t seem to get control over the cravings, it might be more about the lack of certain nutrients in your diet than the level of your “will power.” The following recommendations can greatly reduce cravings and therefore help kicking sugar addiction much easier. Healthy Diet. Eat healthy and don’t skip meals. When trying to beat a sugar addiction, it’s important to have some protein with every meal. A protein deficiency can actually contribute to sugar cravings as the body searches for a quick energy source. Protein provides the body with fuel needed to prevent blood sugar spikes and crashes. Be sure to incorporate good fats such as avocado, nuts, coconut oil, etc. Eating a balanced diet by incorporating foods that are as close to nature as possible will eventually help your body to crave healthy food. Eliminate Processed Foods. I understand that sounds a bit drastic but since there are 600,000+ processed foods in the marketplace, 80 percent of which have added hidden sugar, we should question their benefit. We could say that most people are feasting on sugar all day long and we would be very accurate. One of the easiest ways to eliminate processed foods from the diet is by making real food easily accessible. If you work outside the home, prepare your breakfast, lunch and snacks the night before. Get your family involved in helping with dinner and above all write up dinner menus in advance and shop accordingly. If you shop wisely such as local farmers’ markets, then processed foods should be very minimal in your food cabinet. Raw & Organic Apple Cider Vinegar. Apple Cider Vinegar (raw with the “mother) is said to help with sugar cravings. I recommend putting 3-4 Tablespoons into one gallon of purified water and drink throughout the day. Eat healthy fruits. Many say that eating fruit is counter-productive if one wants to break a sugar addiction. And if one is drinking pure fruit juice, I would agree. However, I always recommend eating the whole fruit because the fiber will help the body take up the natural sugars very slowly. Fruits provide the body with many vitamins, water, minerals, fiber and even oxygen. The best fruits to consume are berries and fruits that are less sweet. Use spices and herbs liberally.Spices that sweeten foods naturally such as coriander, cinnamon, nutmeg, clove and cardamom will often eliminate the need for added sugar. Herbs can be used to enhance the taste of vegetables and protein servings. Take Minerals. Consistent sugar cravings can mean that one has a mineral deficiency. Magnesium is used in the regulation of blood glucose, insulin, and the neurotransmitter dopamine. It is estimated that 60% of the population may have low magnesium levels. Magnesium activates over 300 enzymes, contributes to energy production, promotes restful sleep, balances mood and helps regulate calcium levels, as well as copper, zinc, potassium, vitamin D, and other important nutrients in the body. People who crave chocolate may also be deficient in magnesium. Another mineral, zinc is needed for proper insulin and glucose utilization; a zinc deficiency may also lead to sugar cravings. L-glutamine. L-glutamine, one of the body’s most prevalent amino acids and known as the calming amino acid, has an excellent track record of helping people beat sugar addiction. The best part is that one does not have to supplement forever – just until the cravings pass. Daily add 500 milligrams three times a day between meals and an extra dose when a craving hits (It is a good idea to work up to this level in small increments). L-glutamine also crosses the blood-brain barrier providing glutamic acid, which the brain uses as fuel. A deficiency of glutamic acid can produce that “I can’t get my brain in gear” effect. Other health benefits of L-glutamine can include healing stomach ulcers, stopping diarrhea and repairing “leaky gut”. 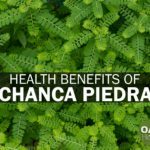 It can also help the body repair cartilage, tendons, and ligaments. Glutamine is the only amino acid containing two amine groups. This enables glutamine to give up one of these amine groups to combine with glucose to make: n-acetyl-glucosamine which is essential for repairing the intestinal lining; and acetyl-d-glucosamine—responsible for healing cartilage, tendons, and ligaments. This same property makes it the primary energy fuel for the small intestine and therefore increases immune function of the stomach. 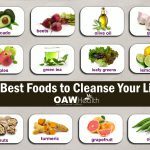 Liver Cleansing. Keeping your liver healthy is not only important for good health but also can help with sugar addiction. 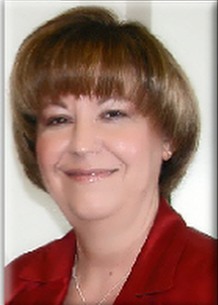 Many people end up with fatty-liver disease and never know it until routine lab work reveals the disease. Over time, excess glucose or sugar is stored as fat and can eventually create fatty liver disease. Performing several liver-gallbladder cleanses can greatly reduce sugar cravings. If you are a sugarholic, paying attention to your liver health is an absolute must. Check your Adrenal Function. One must have sufficient adrenal activity or one will crave sweets. Sluggish or burned-out adrenal glands can be caused by many reasons. See my article Stressed and Fatigued? Check Your Adrenals for more information. EFT (Emotional Freedom Technique). Let’s face it, emotions can be strong and often control how we feel and live our life. Many people turn to sugar because of boredom, unhappiness, stress or as a reward for accomplishments. Before long they find they begin to crave sugar more and more for an emotional lift. EFT can help. According to Gary Craig: “EFT operates on the premise that no matter what part of your life needs improvement, there are unresolved emotional issues in the way. Even for physical issues, chronic pain, or diagnosed conditions, it is common knowledge that any kind of emotional stress can impede the natural healing potential of the human body.” Many people find EFT very helpful in eliminating destructive behaviors. Still not convinced that consuming large amounts of sugar is not only addictive but also harmful to your health and well-being? 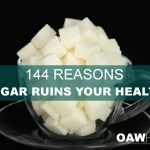 The article 144 Reasons Sugar Ruins Your Health gives powerful information that most have not considered. Be sure to read it as an encouragement to break the sugar habit.